Our five senses help us understand and perceive the world around us. It is said that if you lose one sense, the others are heightened to compensate for that loss. So what if you could use the misfortune of losing your sense of sight to your advantage? Marvel’s Daredevil follows the life of Matt Murdock (Charlie Cox), a lawyer who lost his vision when he was a young boy due to a car accident. It is believed that the chemicals from the accident helped enhance Murdock’s other senses to the point where he can hear so well that he can basically see. Murdock meets another blind man who mentors him and teaches him how to fight and use his ‘powers’ for good. He uses his heightened sense of hearing to help fight crime and uncover conspiracies in his home city, Hell’s Kitchen, New York. You can see filming locations from Daredevil, as well as other locations from Netflix Marvel shows Jessica Jones, Luke Cage, Iron Fist, The Punisher, and The Defenders on our Super Tour of NYC. Although Murdock has enhanced senses, he is still just as vulnerable as the average person. This means he has many weak spots that make him a lot more relatable than other superheroes. On his journey of cleansing his city, Murdock struggles with the ethics of his decisions and must work hard to make sure that his actions are justified. Crime fighting always comes with crime bosses, and in Marvel’s Daredevil those bosses are Wilson Fisk (Vincent D’Onofrio) and Madame Gao (Wai Ching Ho). In one episode, the two have a conversation in the Rockefeller Center Roof Gardens located in Midtown Manhattan. We do not see the inside of Wilson Fisk’s apartment until episode 8 of season 1 titled “Shadows in the Glass.” The building is actually located on 7th Avenue and 18th street, and definitely fits the Kingpin’s dark tone. 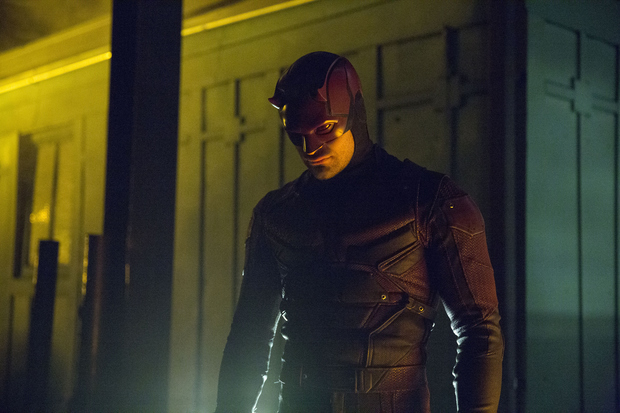 In the second season, Daredevil and another Marvel hero known as The Punisher are introduced to each other in a not so friendly way. The two just don’t seem to see eye to eye, which leads to The Punisher chaining the Daredevil to a roof in Long Island City at 43rd Ave and and 22nd street.